NBA free agency opens on July 1, and here are a handful of stars who could be on the move. Not the kind where you forget things a lot and have to head for the restroom more than ever before, but the type where you only have so much time left in a certain life situation and want to have a good time before the next chapter arrives. The Indiana Pacers star has one year left on his current contract, one eye on the Los Angeles Lakers in free agency in the summer of 2018 and the other on the host of present possibilities in play that are more enticing than the notion of maintaining mediocrity with his current team. 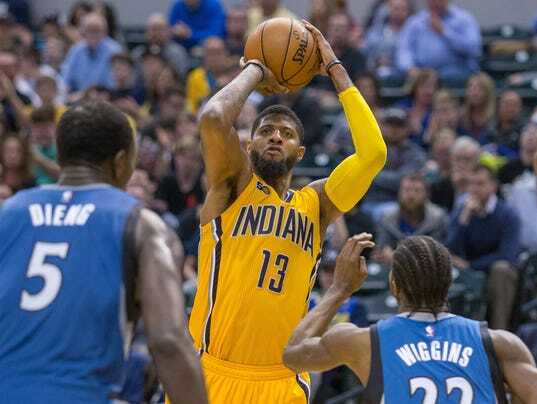 But no matter what Indiana general manager Kevin Pritchard says – and his claim last week that this was a “gut punch” made it seem as if they were somehow blindsided – this was no surprise for the Pacers. As superstar exits go, this was as telegraphed as they come.